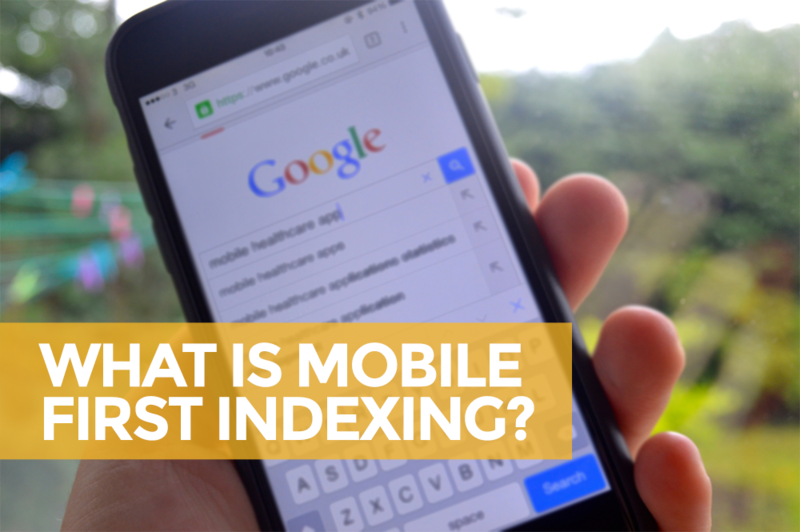 Late last year Google announced that it was going to change its index to mobile-first. What does mobile-first indexing mean? Currently, Google’s search results are being ranked (and have always been ranked) based on the desktop version of web pages but will switch to being based on the mobile content. They haven’t said when this change will officially occur, they say they are experimenting on a small scale. However, in our experience, they are most likely are already rolling out this change in small batches. This will begin to deliver search results based on the mobile content of the site versus the desktop content, and in turn, websites’ keyword rankings may be altered or fluctuate as a result. How Does This Affect My Business Website? Chances are if your website is built using a responsive framework, basically, your content and the code of the site is the same whether you are viewing on a desktop or a mobile device, then you shouldn’t see any rankings drop during this algorithm shift. In other words, you should be golden! As long as your website, as a whole is healthy, you really won’t have much to worry about. Are you using an alternate version of your website like m.website.com or website.com/mobile to serve to your mobile viewers using redirects? This is a tricky one. You could be safe, but there still could be a risk. Do you recall any negative movements in the SERPs after Google’s “Mobile Friendly” update (a.k.a. “Mobilegeddon”) in April 2015? If so, and you haven’t made some updates to your website, you could be at risk during this new shift. If you didn’t notice any negative correlation that may not necessarily mean your website is safe either. It’s best to use Google Analytics reports and Google Search Console to understand mobile site usage to gain more insight. Is your website considered mobile friendly? If your website isn’t mobile friendly at this point, that should be your number one priority for Q1 in 2017. There is no more putting this off! This algorithm change will most likely mean a decrease in search visibility and your web traffic may take a significant hit because of that. If you’re not sure if your site is mobile friendly, use Google’s free Mobile-Friendly Test. Keep in mind, this will only test a specific URL, you may want to test, not only your home page, but your products page, or your cart/checkout process pages. Another thing to think about during this algorithm change, is, what is happening with your competitors’ websites? If they are prepared and your business is prepared, most likely, not much will happen in terms of big changes in the SERPs. However, if your competitor’s website is not prepared for this shake-up, it could certainly mean your business website could be getting a lot more action for a while as they suffer a large loss in the SERPs. This would be a good time to ensure the CTAs on your website are engaging and your forms are firing on all cylinders. Think of mobile SEO in 2017 as just “SEO.” Especially now that we know that Google will be switching to mobile-first index, you should think about mobile SEO in 2017 as simply what we know and understand to be best practices for “SEO.” This means all your SEO fundamentals should come into play on whichever version of your website is presented on mobile devices. Your best bet is to ensure your web framework is responsive. This allows you to be more efficient in your optimization and testing efforts. It is important for us marketers to harness the data and insights from Google’s free resources, like Analytics and Search Console to keep our website healthy, first and foremost, and delivering relevant content to users when they search for it. When the mobile-first algorithm change takes place, will your website be ready? If you’re not sure, contact us today for a free consultation using the link below.